Reading the Bible consistently can be a challenge. We can help! Our Daily Bible Reading will take you through the whole Bible in order from Genesis through Revelation in one year. Read each portion here daily Start your personal Bible study now! Your free LivePrayer membership gives you many benefits including the option to receive our Daily Bible Reading in your email. Do you prefer variety in your Bible study? 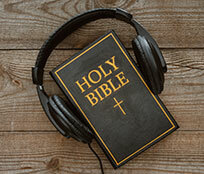 Our Daily Audio Bible, read by Tom Dooley, explores a reading from the Old Testament, the New Testament, and Psalms and Proverbs each day with commentary on each reading to complete the whole Bible in one year. 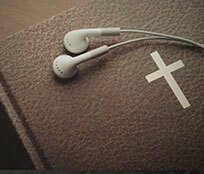 The daily Bible reading is also available by phone by calling (864) 777-2938. Today's reading is from Judges 2:10-3:31, Luke 22:14-34, Psalm 92:1-93:5, Proverbs 14:1-2. Today's Bible Reading is narrated by Tom Dooley. Available on CD from our friends at MasterMedia. Choose from several different translations of the Bible to read and study in whatever order you prefer as much or as little as you want. Read one passage today, a few passages tomorrow, and a whole book the next day. Or select random passages to see what God offers for your focus today. The choices are yours! If you prefer to listen to the Bible instead of reading, the button below will open a pop-up player which will allow you to listen to any chapter of the King James version without interupting your browsing experience. If your Bible study is more spontaneous and you need the flexibility to search the entire Bible, then everything you need is here. 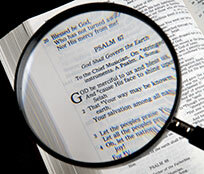 Search by keyword through several different translations of the Bible to find relevant passages. You can search for whatever you like as often as you need whenever you want to without waiting. For an in depth study of the Bible, search thousands of names, places, words, and topics and find all scriptural references to that concept in the Bible. 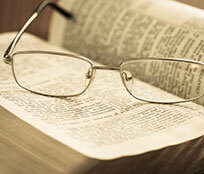 Topical study gives a complete picture of God's Word on any particular subject. 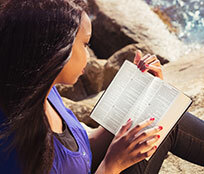 Knowing God’s word intimately and accurately is a crucial part of serious Bible study.. 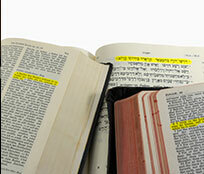 Sometimes you need as much detail as you can find on a particular subject in the Bible. 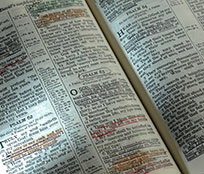 Our Bible Dictionary lists and explains history, places, relationships, and more with specific scriptural references. From people to cities, we have you covered with extraordinarily detailed explanations.